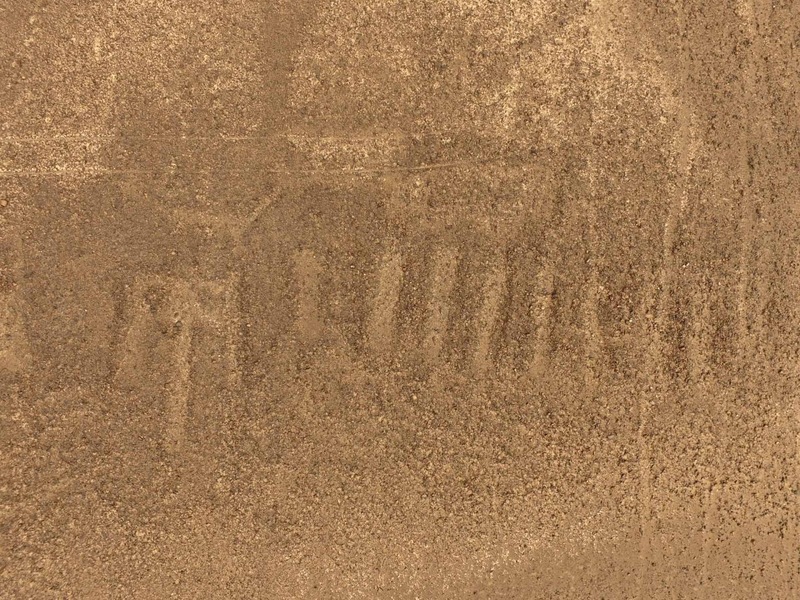 A team of scientists from Japan has discovered a completely new geoglyph in the Nazca Desert, southern Peru. 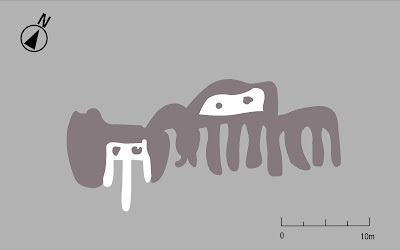 The newly-discovered geoglyph appears to represent a creature sticking out its tongue. 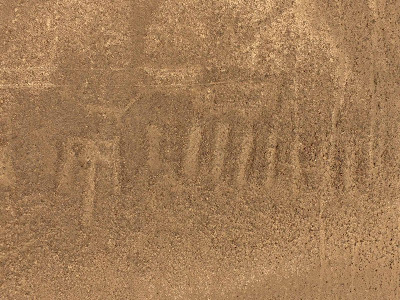 The geoglyph is 98 feet (30 m) long and is located about 10 miles (16 km) from the famous Nazca Lines. Yamagata University researchers Masato Sakai and Jorge Olano made the discovery. “The depicted animal exhibits spotted markings on the body and has many legs, and is therefore inferred to represent an imaginary or mythical creature,” the scientists said. “This geoglyph was created by (i) removing surface stones of darker color to expose the underlying whitish ground and (ii) piling up the removed stones to shape the animal image like a relief,” they added. About five years ago another geoglyph was discovered nearby. “We interpret this geoglyph, which represents a pair of anthropomorphic figures, as a scene of decapitation,” Dr. Sakai and Dr. Olano said. ‘Because both geoglyphs were located on the slopes, they could easily be identified on the ground level,” the scientists said.